That all changed around 2005: Smith & Wesson, long a force to be reckoned with in American handguns turned out the M&P, simultaneously resurrecting that legendary livery and, after a few minor teething problems, handing the unstoppable Glock its first real domestic competition in the eyes of law enforcement. Today, the two most sought after polymer striker guns among discerning shooters are either Glock or the M&P. Either is a solid, good-shooting gun out of the box, or will serve as the basis of a customized blaster that will be the envy of your friends and the nemesis of your bank account. With so much competition and comparison between the two, which has the edge? Which is most deserving of your dollars? I trust this article will help you decide. The Glock 17, while the first polymer handgun to achieve widespread success and adoption, was not the first polymer-framed handgun. That honor goes to the H&K VP70 series, which preceded the Glock to market by about 11 years. The concept we love about the Glock and other modern polymer pistols was on display with the VP70: striker-fired action, high capacity of 18 rounds in 9mm, light weight and a consistent trigger. The VP70 did have it share of quirks though, among them a very heavy trigger pull, oddly placed cross-bolt manual safety and typical of the time European heel magazine release. It did not achieve much military or commercial success, and is today a footnote and cult collector’s item. Keep in mind the attitudes of consumers around this time in the late 1970’s and early 1980’s; plastic made it possible, but it wasn’t for making service guns, except as a novelty or for things like grip panels. 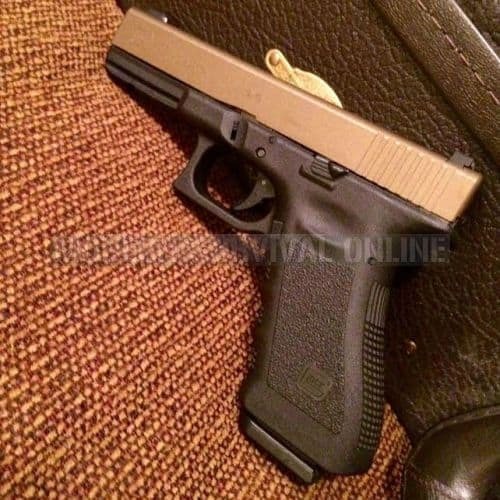 That all changed in 1982, when in solicitation of an Austrian Armed Forces open request for a new, highly modern sidearm, Glock G.m.b.H., led by founder and engineer Gaston Glock, submitted the Glock 17. History followed shortly after. The Austrian Armed Forces testing protocol was stout, for its day and included stringent drop and shock tests to ensure the new pistol would not fire when dropped onto an unyielding surface, a 15,000 round endurance test and then a proof load firing and other abusive testing. Not an easy feat for a gun to pass. Glock whipped together their eponymous pistol in a few months, after gathering a brain trust consisting of Europe’s best and brightest minds and experts in the field of pistolcraft, distilling their experience into design objectives describing what the ideal combat handgun would look like. An additional design mandate was incorporation of extensive polymer construction and modernized manufacturing methodology to ensure that costs were kept as low as possible. All of these characteristics together in one handgun was nothing short of mind-boggling in its day. Note, prior to this Gaston Glock and company were not makers of firearms; this would be their first pistol design ever. Combining the attributes and design cues of other great handguns, Glock produced a pistol that sailed through the trials and was adopted by Austrian police and military units as the P80. That adoption generated interest in the U.S. and elsewhere that would soon turn into a sweeping wave of reviews, tests, trials and subsequent adoptions among many agencies and hundreds of thousands of civilians through the late 1980’s and 1990’s. The Glock’s boring reliability, simple, consistent trigger, excellent capacity and light weight were instant hits. The finish on the slide, what Glock called Tenifer, a form of nitrocarburizing, was at the time seen as borderline sorcerous in its durability and corrosion resistance. The gun was also hideously ugly; a block of a pistol, ugly matte gray slide squatting blandly upon a frame and grip that felt like a plastic toy. It was a gun of huge contention in its day, with owners and admirers of American or European blued steel and wood grips denouncing it as trashy, ugly, or prone to breakage. It was not beloved overnight, that much is certain, but the raw efficiency of the Glock was undeniable. And sheer ugliness can be a hell of a distinctive brand. Glock was here to stay, and gaining ground daily. The Glock name became synonymous with both “pistol” and “reliable.” Its simplicity, efficiency and remorseless reliability seemed invincible. “Glock-like” became high praise in gun magazines. Before long Glock’s motto, “Perfection,” did not seem like puffery. Members of the Old Guard considered their classic pistols, expensively tuned for reliability and wept. The resulting empire continued virtually uncontested for over a decade, until an iconic domestic manufacturer introduced their new flagship semi-automatic pistol. Smith and Wesson, operating since 1852, enjoy a hard-earned reputation for their excellent revolvers and, prior to the subject of this article, somewhat less acclaim for their semi-autos. Somewhat unfairly, their autoloaders while often reliable and consistently good shooters have largely dwelt in the shadow of their iconic wheelguns, except as police issued service pistols. Their present day flagship pistol, the M&P, is the result of a concerted effort to compete directly against the unstoppable Glock, and incorporates features from S&W’s earlier, lesser-loved polymer guns. S&W’s first foray into the polymer pistol market slithered out into the spotlight in 1994. The Sigma was a pistol you might charitably call a love letter to the Glock 17. The Sigma pistol was, in fact, the kind of love letter sent by an admirer who talks like you, dresses like you, and waits in the bushes for you to get home. What I am saying is the pistol was so much like the Glock that it was in all important aspects a copy visually and mechanically, a copy so identical that Glock sued Smith & Wesson for violating patent law. The end result is that the case was settled out of court, and S&W agreed to change the gun. Reeling and smarting from this sharp rebuke of their blatant copycatting and still unwilling to concede the polymer pistol market to a company that already so thoroughly owned it, S&W learned from their past mistakes, immediately disregarded that wisdom and trotted out the SW99 in 1999. The SW99 was nothing more than a rebranded Walther P99 with slightly different aesthetics. Introduced in 1996, the Walther is remembered as a solid pistol by many, one that tried to offer different spins on a striker-fired trigger system to suit users’ objectives, including a decocking button that would let a shooter run the gun like a traditional double-action pistol. Smith and Wesson decided that this was the second pistol worth copying, only his time they approached Walther to do it right and not get sued. Walther manufactured the frames, and Smith and Wesson made the barrels and slides. The SW99 is not remembered fondly, having reliability issues and none of the German cachet of its progenitor. It was adopted only by a handful of police departments, and though it hung on in their catalog for several years, it was finally discontinued with the rise of the M&P, to which it also donated some design DNA. Soon, the 3rd time would be the charm. In 2005, S&W got serious. Dangerously serious. 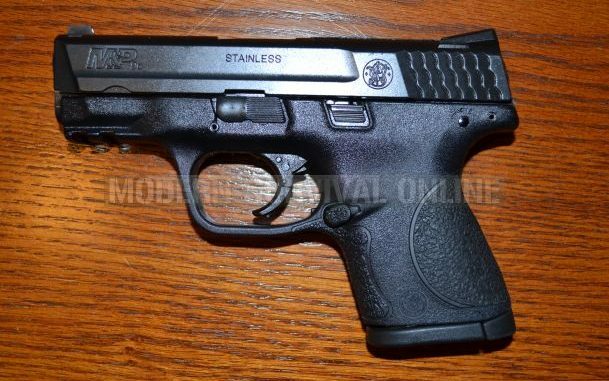 Taking the basic fire control from the Sigma, and the general ergonomic layout from the SW99, Smith and Wesson mashed them together, stirred well, set the knob to 11, resurrected the legendary Military and Police livery from the iconic Model 10 revolver and boldly released the M&P9 onto a marketplace long numbed by a procession of polymer pistols that would never live up to the Glock pistols they sought to dethrone. 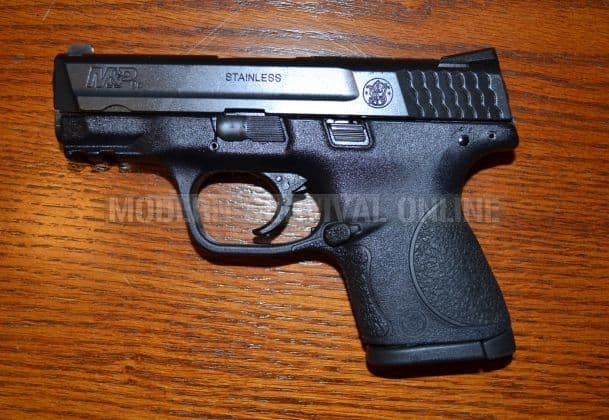 The M&P came stock with a nicer trigger than the Glock, it had also steel, three-dot sights standard. The Glock was always a love-or-leave-it gun when it came to ergonomics. Users that did not prefer the grip angle either adapted or looked elsewhere. 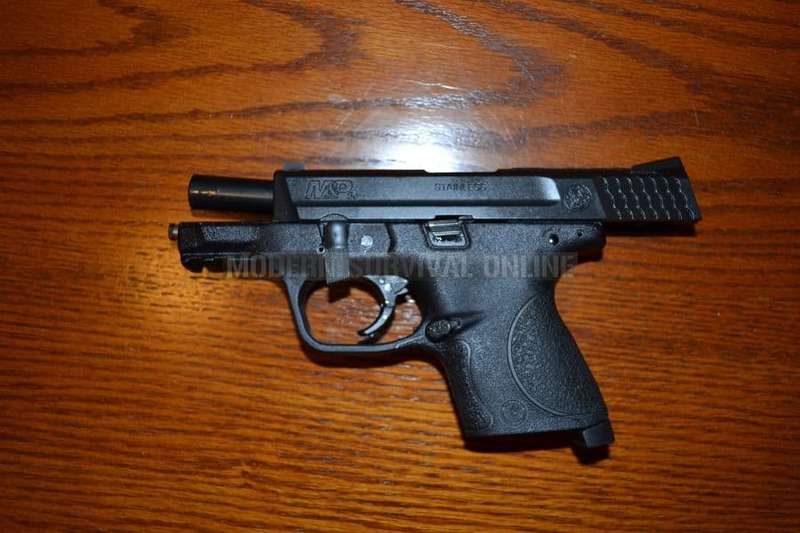 The M&P provided the user with three different options of wraparound grip shell, and allowed them to be changed quickly and easily with no special procedure. The pistol also featured ambidextrous or reversible controls that were more leftie friendly. Listening to the long standing gripes American shooters held about the Glock, S&W offered their polymer pistol with fire control options from the factory: a magazine disconnector, popular with police and security. An optional manual thumb safety, placed in the familiar location and operated just like a 1911 safety. Lastly, seizing a serious accusation about lack of safety with the Glock’s disassembly procedures, S&W ensured that the trigger never had to be pulled for disassembly of their new pistol. 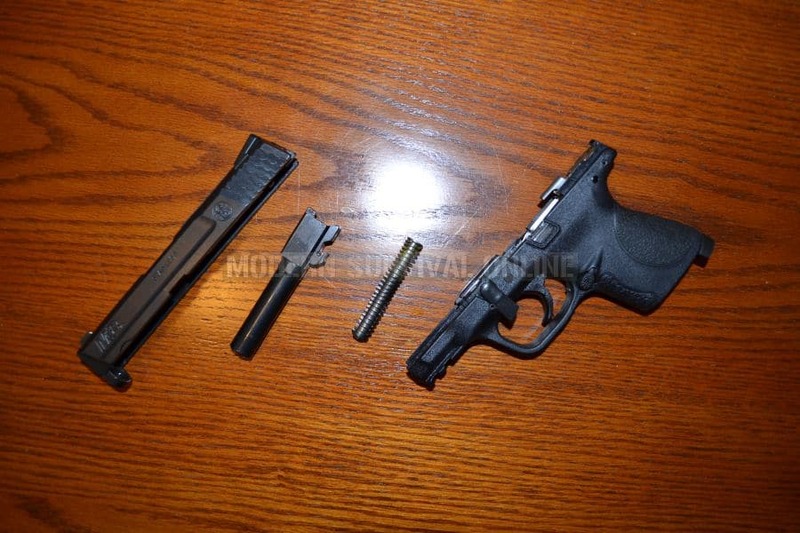 The M&P’s takedown lever in the disassembly position, ready to release slide without pulling trigger. The M&P line had some failures, at first: improperly applied finishes led to rusting issues. Slide releases broke with little provocation. Some 9mm guns produced only middling accuracy at range, something over 4” at 25 yards. None of this would keep the M&P down for long: interest in the gun among the public and law enforcement soared. Smith and Wesson were properly back in the semi-auto game, their earlier flops forgiven. These two pistols are so functionally similar selection will often come down to user preferences or small advantages in certain criteria. The archetypal modern striker-fired triggers found on pistols today were codified by the Glock; a trigger with built-in safety to prevent movement of the trigger until it is depressed, and two internal passive safeties, typically a drop safety and firing pin (striker) block. Both pistols are functionally equivalent here. The stock M&P trigger is thought by many to be superior out of the box, while the Glock enjoys a much simpler drop-in trigger upgrade procedure. There was a time when the M&P had the advantage in ergonomic options, owing to its interchangeable grip inserts. The latest generations of Glock, Gens. 4 and 5, now offer different sizes of backstrap to fit the user’s hand, as well as ambidextrous or reversible controls for lefties and a more aggressive texture on the frame. Smith and Wesson introduced the M&P 2.0 to address Glock’s newer generations, featuring a longer internal chassis, improved texturing of the grip and an enhanced trigger previously found only on the improved factory M&P Pro trim. Comparing Gen. 3 and earlier Glocks to the M&P, the Glock enjoys an enormous advantage in aftermarket parts and customization options. The M&P is a strong second place, and has offerings for every major component, just not as much variety compared to makers of Glock accessories. This balance is skewed somewhat with the introduction of the Glock Gens. 4 and 5, which, thanks to internal changes and redesigns, do not have 100% parts compatibility with legacy models. Both guns can be highly tuned and enhanced by drop-in parts or some light gunsmith work. Models and their variants are extensive, with both makers offering pistols in all the usual suspects, and in a variety of sizes. .380, 9mm, .357 Sig, .40 and .45 are all on display, but Glock has the added perk of 10mm Auto offerings for the die-hard zealots that kept that cartridge commercially viable. However, Smith and Wesson make all major variants of the M&P available with factory manual safeties if desired. Glock still ultimately offers more variations in size for any given caliber. Either manufacturer offers models for nearly any role, so you can be assured that whatever type of gun you are searching for, one of them will fit the bill. Regarding accuracy, neither pistol is a slouch, but the Glock enjoyed a slight stock accuracy advantage across most models. Note that there are few shooters who can outshoot either their stock Glock or M&P, but they are out there. Glock responded to the call for better stock accuracy with the Marksman barrel on the Gen 5 guns. More extensive user testing is required to thoroughly shake out the difference in accuracy potential, if any, between the Gen. 5 Glock and the M&P 2.0. Both pistols have shown excellent reliability in all conditions, but the Glock’s extensive track record, global adoption with various agencies and militaries and ubiquity in sport shooting has built a legacy of dead-hard performance that will be tough for the M&P to match for some time to come. I would trust my life to either but if I had to bet on one out-of-the-box unknown gun to go bang no matter what, it would be the Glock. Glock magazines are somewhat cheaper and definitely more widely available than M&P magazines. This is mostly due to the Glock mags being nearly all plastic while the M&P mags are metal. While no means pricey or scarce, the M&P has yet to achieve the domestic or global saturation that Glock has, and this has an effect on pricing and availability of parts and servicing. Both guns are easy to service, but the Glock is so sublimely simple to detail strip and service you can barely make an armorer’s class out of the procedure. For tinkerers or those that want to service their own guns, either is a good choice but the Glock is superior here. My regular readers may think I am just unwilling to choose, as many of my head-to-head articles end this way, but that’s reality when you compare two of anything that are so evenly matched. Both pistols are very reliable, very durable, and easy to shoot well. Both have thriving aftermarket and extensive factory support. Both manufacturers continue to innovate and refine their designs to meet shooter needs and wants. Suffice it to say that Glock is no longer the only ride in town if one desires all of the best qualities of a polymer pistol in one piece. Since I’ll get hatemail if I don’t pick one- don’t lie, I can already hear your fingers mashing away! Like I said, I’ll hear about it if I don’t pick one, so since you guys and gals are making me do this, I’ve chosen the M&P. My reasons are I prefer the ergonomics of the M&P with my tiny, tiny hands, it has steel sights and a nicer trigger stock. Those factors make a difference to me because I am the kind of user that prefers not having to make any modifications out of the box for the few things that are important to me on the gun- the sights and trigger- and prefer to spend that money instead on extra magazines, ammo and training. So, since the M&P treats me better stock, I choose that one. We live in a bountiful time of plenty as far as quality polymer handguns are concerned. There are more high-performance handguns widely available on the market then there has likely ever been. Among them all, the two biggest names are the two vying to cement their status as ubiquitous choices in effective defensive or duty pistols. The Glock and M&P families are all well-engineered, hard-running guns that uncounted numbers of professionals and civilians alike rely on for defense of life and limb. You too can rely on either of them. What’s your preference? Glock or M&P? Have you had a good or bad experience with either that solidified your opinion? Let us know in the comments!